OK – well, I’m not sure if this is cheating (in NaNo terms) – but although I’ve been getting on with my new project reasonably well, I’ve realised that I’m not good at writing something I’ve not had a reasonable amount of time to mull over before hand. Although I’ve got a good idea of this story and how it all comes together, I’m still finding it tough to ‘flash’ write – especially at the rate of 3000words a day. 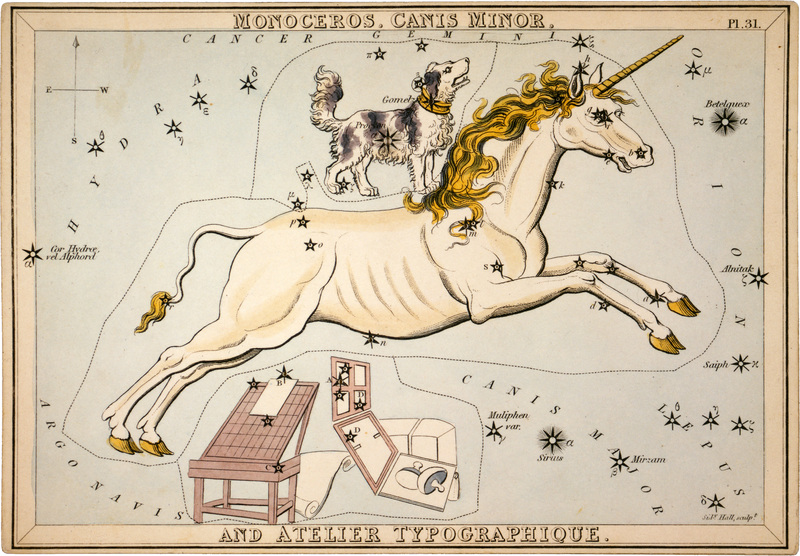 So, this was the idea I had a couple of days ago…Several years ago I wrote a children’s story called Faris and the Monoceros – I’ve not published it, but I have been dabbling around the edges of editing it over the last few months. One thing I always wanted to do was write a prequel to this book, that gave you some more detail about Faris’s life before he came into the fantasy world where you meet him. So – there you have it, I’m writing – quite a lot, quite quickly – but it’s not what I said I’d write. In NaNo world, does it count? It is a truth – universally acknowledged – that every person believes that they are special. This becomes even more of a truth, when the people in question are the inhabitants of an orphanage. Who doesn’t want to be the lucky boy that discovers he’s the long lost heir to a wealthy family? Or to find that them being in the orphanage was a big mistake, and that he has loving parents who will be overjoyed to find him safe and well? Unfortunately, for the majority of the boys who inhabit the Grimbaldi Foundation for the Potentially Lacking, no such fortunate discoveries exist in their future. If they are lucky, they will survive their time at the Foundation, but that is all. People say that life is hard. That may be true, but most children are fortunate enough that they do not find this out until they grow up. I am sorry to say, that this is not the case for the boys who live within the grey stone walls of the Grimbaldi mansion. (To extend further on Faris). The morning alarm bell rang out, loud and piercing, jolting the boys from their beds half-scared, half-asleep. Many of them had no memory of life outside the walls of the Grimbaldi Foundation and for that reason their dreams and waking lives were not particularly different from one another. Sleep might come easily for the boys at the end of each long day, but that was only because they were exhausted from working a twelve-hour shift in one of the Foundation’s ‘creative rooms’. Faris tumbled from his bed just like the other boys. He followed his feet as they pulled him automatically into line with his roommates and moved towards the dingy bathroom at the end of the dormitory. His eyes were bleary from too little sleep – it was 5:00am as always – and he had been up well after midnight. Unlike the other boys, he found that he did not sleep as soon as his head hit the pillow. It was quite the opposite: when bedtime came, he would find his mind waking up in a way it never did during the long days of hard labour. “Sorry,” Faris mumbled sleepily as he staggered over his sleepy feet and bumped into another boy. There was no response. Why waste your energy on talking when there was work to be done? (That was a favourite saying of Mister Grimbaldi’s). After splashing their faces with icy cold water from the rattling taps and brushing their teeth with their fingers – “why do you need a toothbrush when you have eight perfectly good fingers? was another gem from Mister Grimbaldi – the boys made their way back to their beds to change into their work clothes. The air in the dormitory always smelled a little stale in the morning and so – as was his habit – Faris opened the small window beside his bed. Fresh air rushed into the room, a little chilly, but the boys were used to the cold so it didn’t bother them. The air carried away with it the smell of boys who only got a bath once a week and helped wake everyone up that little bit more. Dressed and ready for action, the straggle of boys formed a straight but ragged line beside the main door and waited. Faris was towards the back of the line, not especially bothered about getting to breakfast first. No matter how hungry he got, he just could not get excited about breakfast gruel. FOOD IS FUEL was the inspiring motto emblazoned on the wall of the boys dining room/work room. It was a waste of space really, as only a handful of the boys could read. Ahead of him, Faris heard the door click open and he watched, as it swung open on squeaky, old hinges. Faris did not need to look at the face behind the rasping voice to recognise Gamage. He was a tall, wiry-looking man, with grey-brown hair and hollow, muddy eyes. Gamage was caretaker at the Foundation. Faris had never asked, but the rumour was that Gamage was the oldest boy lacking in potential ever to be housed at the Foundation. Every now and then other boys at the Foundation were collected by long-lost relatives or disappeared on cold dark nights, but Gamage had always been at the Foundation. Always had and probably always would be. Faris believed that the stories about Gamage were true because when you looked closely at him, which wasn’t often as he wasn’t the most handsome of men, Gamage had a strange doomed look in his eyes. With this last instruction barked loudly over their heads, the line of boys moved forwards, their eyes cast down at the floor and shoulders curving downwards like a row of unhappy mouths. Breakfast was a quiet affair. Rusty spoons scraped every last morsel of food from the cracked bowls and shovelled it into hungry mouths. Aside from the odd gurgling stomach, protesting that it wanted more than the small portion of food that had been offered, there was no other sound except for the gentle clinking of cutlery. This entry was posted in General, Writing - General and tagged cirque du nuit, elementals, faris, faris and jack, faris and the monoceros, NaNoWriMo 2013 on November 19, 2013 by mel.